Here are this week's new additions to my TBR mountain. I am a big fan of Darby Karchut's books. Gideon's Spear was the first one that I wasn't asked to review. I had to buy it for myself and for my students so that we can find out what happens next with Finn. 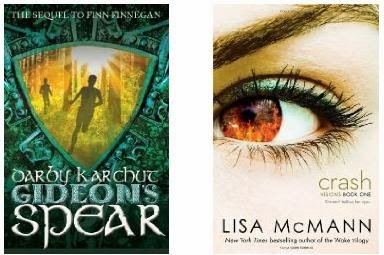 Crash by Lisa McMann was a Kindle Daily Deal. I got up early last Monday Morning, despite the fact that our school had closed due to adverse weather, so that I could watch the ALA Youth Media Awards. As soon I found out the Caldecott and Newbery winners, I headed to Amazon to get them for me and my students. Locomotive by Brian Floca won the Caldecott. 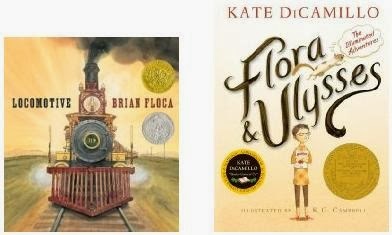 Flora & Ulysses by Kate DiCamillo won the Newbery. These are the books that were added to my review stack this week. I got Avalon by Mindee Arnett through Amazon Vine. It was released on Jan. 21. Nick and Tesla's Robot Army Rampage by Bob Pflugfelder and Steve Hockensmith arrived from the publisher. This one will be released on Feb. 4. 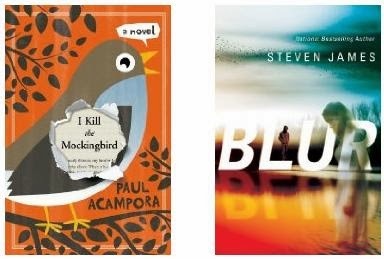 I Kill the Mockingbird by Paul Acampora come to me from Macmillan. It will be released on May 20. I got Blur by Steven James from NetGalley. It will be released on May 27. 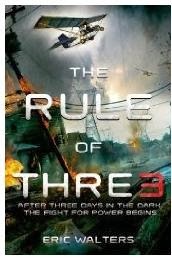 I also got a finished copy of The Rule of Three by Eric Walters and a cool whistle/compass thingee from Macmillan. I was quick to donate it to my High School Media Center. A couple of my high school boys had already devoured the ARC and were busy talking it up to their friends. Crash is already on my TBR list. Have been meaning to get the book but many other books caught my attention. Shall remember to get this book soon. Happy reading! These are all new to me, I hope you enjoy them. Happy reading! Steven James is a really good author! Great haul! I heard great things about Crash and Avalon, although some reviews on them were mixed. I hope you like these, and happy reading! Great haul this week. I hope you enjoy and happy reading! Thank you for stopping by! 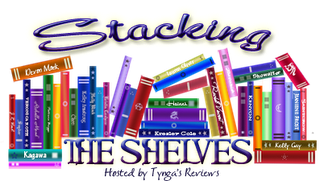 Oh you have great books this week! Thanks for visiting OUaT! ACKKK! Kathy, I specifically asked that you be put on the list for a review copy! I am so sorry this didn't happen. How can I make this up to you? May I donate a copy to you and your library? All of these books look great…I am especially interested in Crash…I've heard good things. Enjoy your books! Great haul! I got AVALON last week, and I want to read THE RULE OF THREE! Great haul! So many pretty covers. I've read Avalon and it was a nice sci-fi read. Hope you enjoy your new books! Jealous of Gideon's Spear! I was supposed to get a copy but it never showed :( Avalon is awesome! Nice haul! Thanks for stopping by The Cover Contessa! 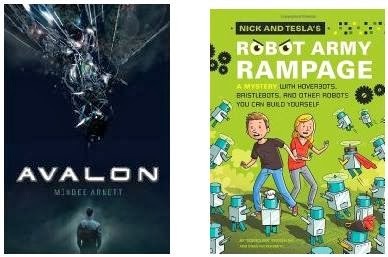 Great books this week. I enjoyed Avalon. Thanks for visiting my blog, yes Nutella is so good! Soon I'll prepare some recipes from that book! Now I'm your follower, I like your STS a lot! I also got Avalon this week. I read Crash and I enjoyed it, I hope you do too. For a second I thought it's "To Kill a Mockingbird." But then I read the title again. Enjoy your books.